Arguably no drink on the planet is as tightly regulated as Scotch whisky, with its production rules enshrined in UK and EU law. But does that stifle innovation and creativity – or protect Scotch’s authenticity and integrity? Tom Bruce-Gardyne reports. Traditional view: Does Scotch risk being outflanked by rivals because of its rulebook? It is one of the many ironies of Scotch whisky that what was once the roughest moonshine, akin to Irish poteen and equally illicit, evolved into the most tightly regulated spirit of all. The rules governing the production of Scotch whisky are notoriously strict and policed by that powerful trade lobby – the Scotch Whisky Association (SWA). Deviate in any way as a distiller and your spirit won’t be Scotch. But is this a good thing? Does it protect Scotch whisky’s authenticity and credibility, and help it to maintain its premium credentials and reputation? Or does it suffocate innovation and creativity, and thus only benefit whisky makers in the rest of the world? In essence, should Scotch hold its nerve and stick to its guns, or is it time to loosen up? These questions are not new, but with the surge in boutique, craft distilleries across Scotland it seems a good moment to reopen the debate. So let’s ask: should the rules around Scotch whisky be relaxed to allow more innovation? ‘Innovation. It’s one of the most misused words in whisky. Traipsed out by marketeers and producers alike, incorrectly substituted for what is usually going on: experimentation. ‘I understand why whisky makers – particularly independent ones – want to experiment and bend rules. However, this objective is a red herring in my opinion – a sidetrack from what every whisky producer’s main purpose should be: to make the best whisky possible. ‘Scotch whisky’s legal definition already allows enough room to make incredible whiskies. The greatest Scotch whiskies ever created adhere to these same rules. ‘It is not about finding “new” ways to create whisky – or altering the definition of the product to slacken the parameters of production. ‘Producers should instead focus on working within those guidelines to make the most characterful and high-quality distillate possible. This notion that we will fall behind other countries, less strict in their definitions, is a fallacy. This will only happen if we allow it to; if we allow our whiskies to fall prey to homogenisation and lack of imagination. ‘The majority of proposed, currently prohibited, changes to production are to do with wood. Most of it seems geared towards changing what, and how, wood can flavour whisky. ‘Producers seem far too eager to forget that the current legal framework allows for a breadth of approaches and changes to production and ingredients in the creation of distillate, which could stamp beautiful and hugely distinctive attributes on a new whisky. ‘Why not take a really serious look at yeast? Work with a brewery to isolate and use a specific yeast trub? Change the type of fermentation vessels used? Use peat from different geographic regions? Use different barley varieties – not just Optic one week and Troon the next, but heritage varieties like Zephyr or Plumage Archer? ‘Alter the mashing regime? Look at different ways to heat your still or condense your vapours? Or all in unison! Such an approach may yield genuine innovation through the creation of astonishing quality. ‘Most great art is made in the face of adversity. The creative mind is often at its most potent when confronted by boundaries which force it to work within certain parameters. ‘In my experience, the SWA usually wants to help whisky producers – not hinder them. 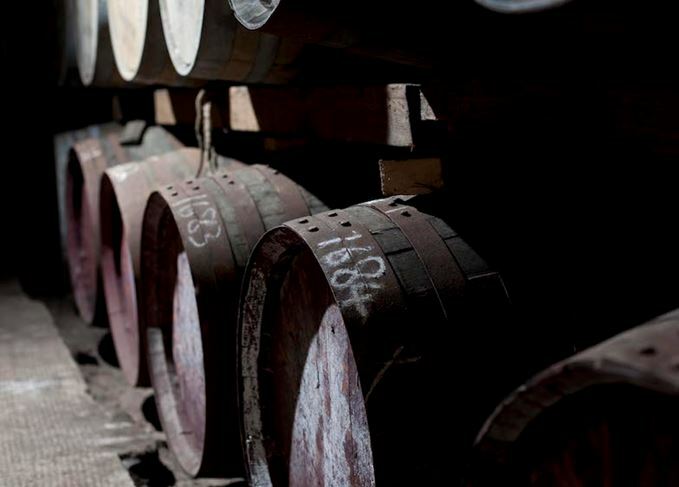 The laws that govern whisky’s production are there for a reason. ‘As they stand, I think the SWA rules do a great job for the big distillers and protecting the pinnacle of single malts, but they do limit innovation. ‘A great example is the flexibility around mash bills. If we used too much chocolate malt, for instance, that might be seen as altering the spirit beyond Scotch. The fact you have to mature it for three years before putting it to the test means you’re less inclined to take the risk and be innovative. ‘I also find the rules around blended Scotch very restrictive. If I were a new distiller in Ireland, I could create a blend under my distillery name to demonstrate the skills of our team and whet people’s appetite for our forthcoming single malt. In Scotland that’s forbidden. ‘Similarly, in America, a distillery like Balcones does a corn whiskey, a rye whiskey and a whole raft of other whiskeys besides its single malt. By comparison, we’re very restrained when it comes to Scotch. ‘The boom in craft distilling is a great opportunity to redress the balance and allow Scotch to catch up with all the innovation elsewhere. Right now I see a missed opportunity in the middle ground below single malts, and feel that Japan, Ireland and America may leave Scotland behind. ‘With Scotch I’m happy to keep the minimum age, but for anything under three years why not call it “young whisky spirit”, for example. The term “spirit drink” doesn’t come close to expressing the value and craft that’s gone into a product that consumers are really interested in. ‘I’m very much in favour of letting the consumer decide, so long as they’re not being misled. By relaxing the rules we could broaden the category’s appeal and, by consequence, make Scotch whisky fashionable again without impacting the drink’s core consumers. ‘Think of what’s happened with gin, where not everyone likes the classic, juniper-heavy style. A lot of new drinkers think they like gin, but what they really enjoy are flavoured gins. ‘The current rules suit the big companies, who can often experiment with their Irish, Japanese or American whiskeys and leave Scotch alone, leading to missed opportunities through a lack of innovation. Paul Miller may be on to something when he implies that the big booze companies have no real interest in pushing the envelope on Scotch whisky, for if ever they’re feeling innovative or experimental, they can simply use their other whisky brands. Of course they would almost certainly deny that, and point to the endless play on cask maturation techniques for their single malts. But, for all the excited press releases, it never seems the most radical innovation. Bacardi did go further with its contentious, honey-flavoured Dewar’s Highlander Honey in 2013, but it was quietly dropped a few years later, presumably because it never caught on. Yet, rather than adding flavours or tinkering with maturation, Scotch whisky distillers could certainly be more innovative with the early stages of the production process, as MacRaild suggests. Maybe they should spend time in a brewery learning about different strains of yeast and types of malt. Alternatively, they could gain some inspiration from Darek Bell, the owner and founder of Corsair distillery in Nashville, and author of Alt Whiskey. The book is packed with weird and wonderful recipes, such as Old Punk, Hop Monster and Huckleberry Moonshine whiskey. Never in a million years would the SWA consent to these being called Scotch whisky, but the process of distilling them anyway in Scotland would certainly get the creative juices flowing.